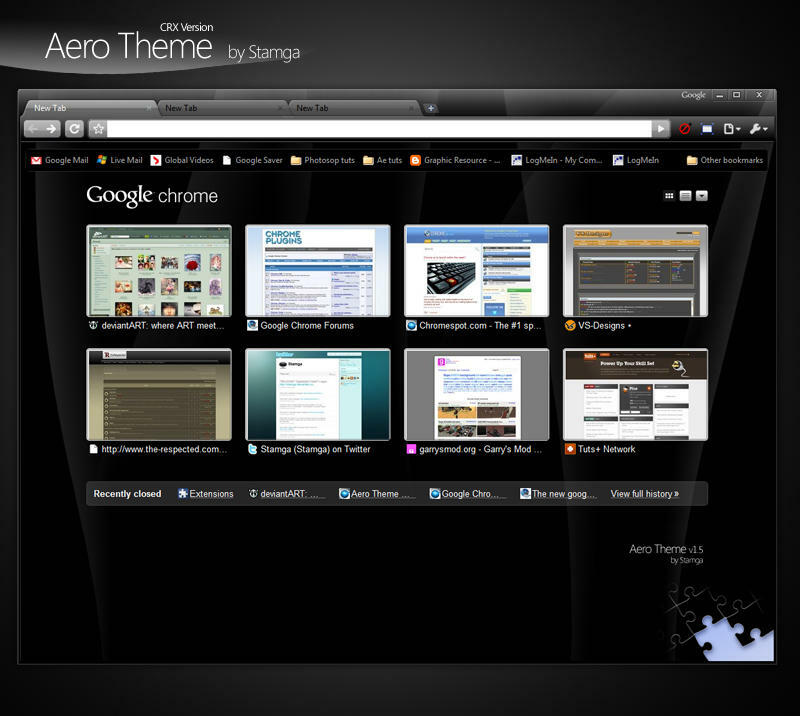 This is a CRX version of my famous Aero theme. The buttons aren't fully customized because button customization is not supported on the .crx format. I thank PAEz for originally making a .crx theme similar to this new one. If you have any suggestions, post them below. - Click on Add to Chrome to install it to Chrome. very very very nice . Extremely nice, I like this alot better than the quick hack I made. Really like the flow from the toolbar to the bookmarks bar, I love a good gradient. bingo, looks like three rows . each row also looks like it has depth, especially the ''middle''/tab row .